Hand In Hand attracts a mixed crowd of after work drinkers and locals, making for a lively, vibrant atmosphere in the heart of Wimbledon. The charming courtyard is perfect for a romantic pre-dinner drink with that special someone. Do you work at Hand in Hand? What did you think of Hand in Hand? The Hand in Hand is a wonderful place - the kind of place where you could fall in love quite easily over a good meal and a glass of wine. 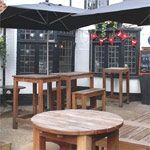 One of two Young’s pubs located in Wimbledon’s Crooked Billet, on the south east corner of Wimbledon Common, Hand in Hand basks in an enviable location overlooking the green. The Hand in Hand’s most prominent selling point is perhaps its resemblance to an old-fashioned country pub - a theme supported not only by the surrounding greenery of its location, but also by its charmingly rustic interior. An assortment of trinkets and photographs decorate the walls and create a homely environment, with the old-fashioned coat stands, spread of newspapers, and - more quirkily - a chessboard, all offering the potential for a relaxing afternoon out. Outside, you will also find a decently-sized front terrace with plenty of seating, fronted by a dainty white picket fence. Wimbledon is teeming with families but youngsters are not permitted in the main bar area – a blessing for some – and are instead confined to a separate ‘children’s room’. The Hand in Hand is understandably popular and there is a light-hearted buzz to the atmosphere, afforded by the friendly and unpretentious setting. The cheerful interior, with its eccentric touches, make it an altogether less sombre affair than some other self-proclaimed traditional pubs. 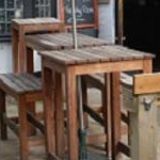 The clientele is generally comprised of older folk, but this is most importantly a place for anyone seeking decent conversation – and perhaps a board game - unhampered by loud music or large, noisy groups. Staff are extremely helpful and efficient, and well-informed about the ales served. If in doubt - or in need of a recommendation – just ask. A menu largely comprised of filling comfort food such as scampi and chips (£10.50) and rump steak (£14.95) is on offer, and roasts are available – including a vegetarian option (£11.75) - on Sundays. Meals are pricey for uncomplicated pub grub, but portions are large and the ingredients are of a good quality. Over eight different real ales are available on draught at the Hand in Hand, many of them from the Battersea-based Sambrook’s microbrewery. Young’s own London Porter (£3.90) is especially popular, possessing a refreshingly fruity depth along with its expected rich, malty undertones. There is a decent wine list available to those who aren’t tempted by the beer, with house bottles of either grenache blanc or carignan available for £15.95 a bottle. 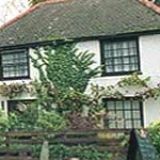 If you’re longing for a village pub experience but unwilling to stray out of London, then a trip to the Hand in Hand is highly recommended.